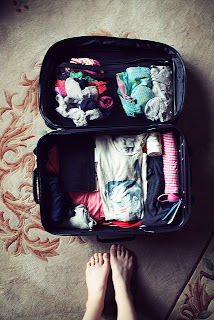 the italiagal: Travel Tuesday: Please Pack Less! Great advice! Packing makes me a nervous wreck. I like the convenience of the rolling carry on, but sometimes prefer to take my longchamp large zippered tote with a shoulder strap. It's heavy to carry around in the airports but the trade off is, it fits under the seat in front of me and I don't have to worry about the inevitable running out of overhead bin space that happens so often. Sigh...I wish flying were as chic and glamorous as it once was so long ago. Just taking a carry-on or even one that fits under the seat in front of you is another post! I wish flying was as it used to be too... And I hear so many horror stories about how baggage handlers destroy luggage at work that if I can get there by bus or train fairly easily, I will.